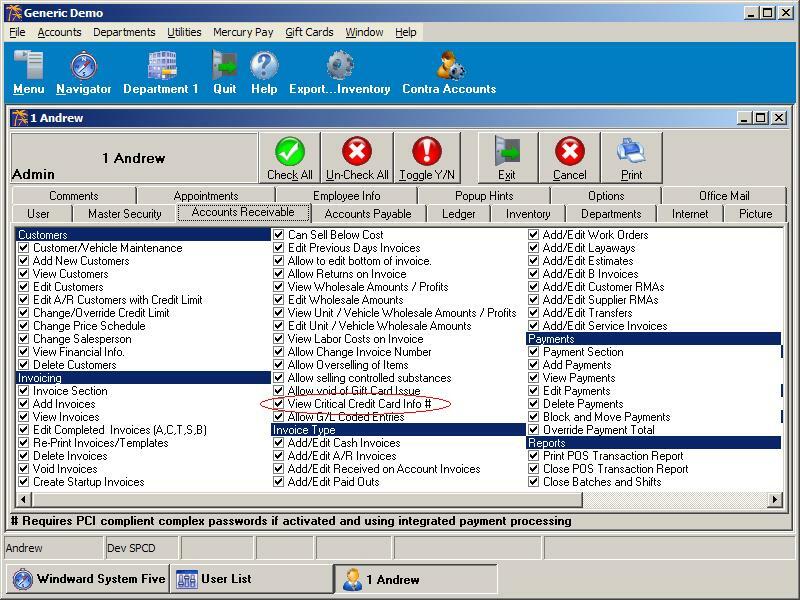 System Five version 6 includes new security features for compliance with PCI (Payment Card Industry) security standards. One of these standards is to have a login box displayed after 5 minutes of no activity. Users configured in System Five will be one of two types. 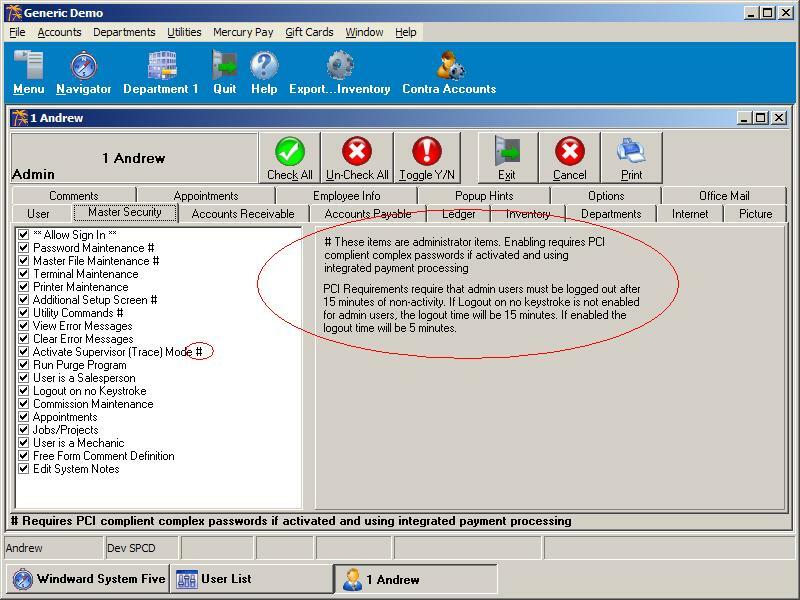 If the user has an 'admin' level security then the logout on no keystroke is mandatory for that user when System Five is integrated with payment card processing and/or if System Five is being used to store credit card data. Users with 'user' level security will not trigger the logout on no keystroke if System Five is integrated with payment cards. In the user setup there are security options indicated with a '#'. If any of these settings are enabled then that user is classified as an admin user and will have the login box appear after 15 minutes of inactivity. The admin security settings are indicated in Figures 1 and 2 at the bottom of this document. NOTE: If the Logout on no Keystroke setting is enabled then all users will be logged out after 5 minutes regardless of security settings. If the clerks are receiving logout on no keystroke messages and the logout on no keystroke is turned off (5 min logout) then the security settings should be checked for these users and have the admin settings turned off. Users that are also administrators may want to create a non-admin account. This would be performed by copying the admin user then turning off the admin settings for this new account. This new user can be used to perform day to day non-admin operations without the logout on no keystroke option being triggered.